Due to our fabulous relationship with Borgo Egnazia we are pleased to offer the best prices guaranteed. 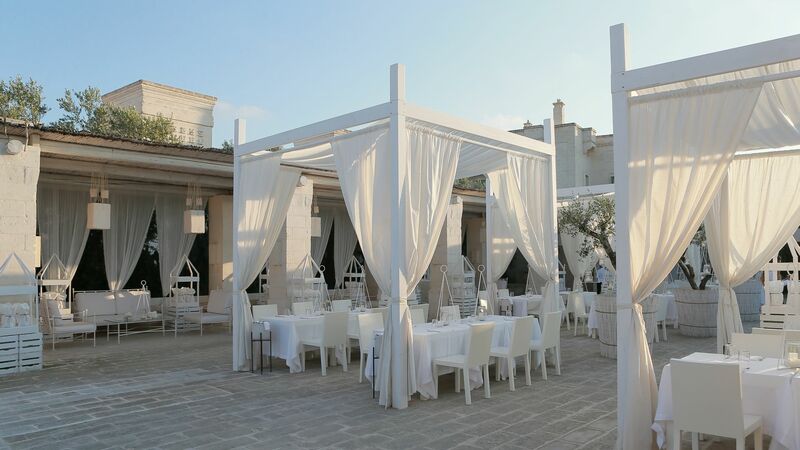 The stunning Borgo Egnazia offers a stunning selection of restaurants (Due Camini – Michelin star) offering fine dining, and exquisite Italian cuisine in the most formal and informal of settings. Offering activities for all the family from golf, tennis, spa, watersports, kids club and much more. This is the perfect luxury family holiday resort in Italy. Free Kids Club, Free Nights , 20% Early Booking discounts on selected dates at the Borgo Egnazia – exclusive to us. Borgo Egnazia is one of the Mediterranean’s newest luxury destinations located in the beautiful and unspoilt region of Puglia in Southern Italy, built in the style of a traditional Apulian village. 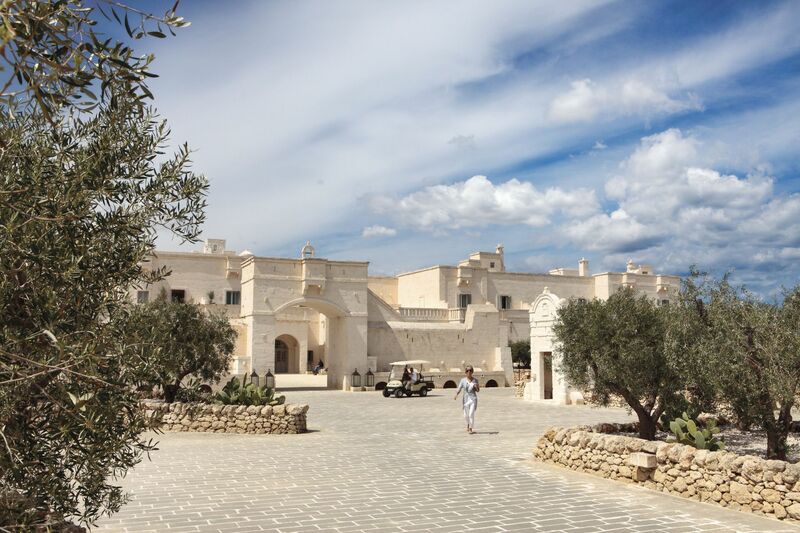 The Borgo Egnazia was created using traditional craftsmanship blended sympathetically with the local architecture and history that typifies this undiscovered region of Italy. Offering a superb luxury collection of villas, townhouses ,hotel rooms and suites add to this the magnificent resort facilities with Kids Club, Golf, Tennis, Spa, Watersports , Restaurants* & Bars and you have the perfect luxury family resort. 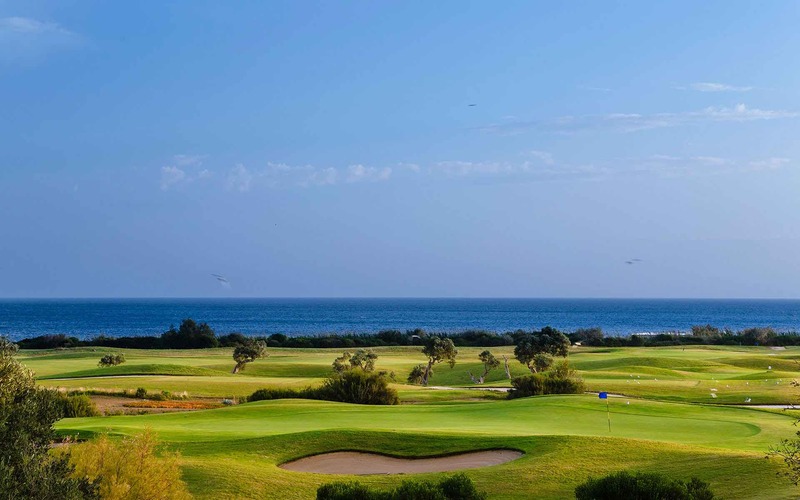 The stunning Borgo Egnazia is the perfect luxury honeymoon destination in Italy, golf lovers, sun worshipers as well as a luxury family holiday. 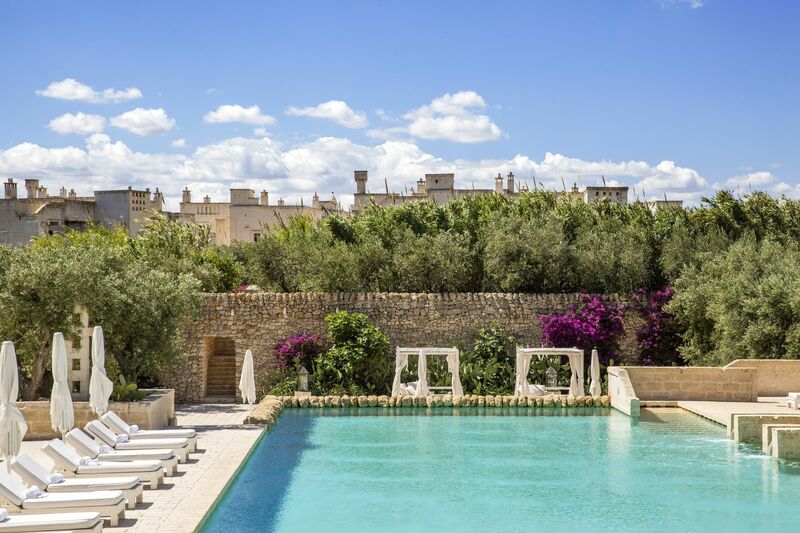 Design Holidays is a preferred travel partner for the Borgo Egnazia and will never be beaten on price when it comes to luxury family resort holidays, please feel free to put us to the test. Give us a call to find out more about our Luxury Family Resort Offers. Situated in the southern heel of Italy, ‘Puglia’, or the region of alternate namesake, ‘Apulia’, the resort of Borgo Egnazia is fast becoming an exclusive destination for both luxury and lifestyle-led, tailor-made holidays. Whether a romantic couple’s getaway, or sleeping within a stylistically Apulian, decadent, family-sized villa to nourish your new Mediterranean roots, all that wish for an Italian adventure fit for the movie screen that is perhaps a little different from the northern Italian tourist-focused cities, will see their dreams realised in dazzlingly vivid technicolour. With food and activities entirely catered for the individual, Borgo Egnazia wishes to entice their visitors back for a lifetime. With many returning guests, the focus upon a personal touch is more than evident. Borgo Egnazia manages to retain the boutique elements of luxury holidays whilst championing the traditionally Italian idea of ‘family’; staff are encouraged to interact with guests in sporting and games activities such as tennis, football and watersports, whilst a real sense of nurture the guests’ children within the equipped kids’ club that provides utmost care and fun. Against the magnificent Apulian styling of stone, piazzas, four main pools, and two beaches, a perfect holiday – for all – is the resort’s motto and raison d’être. With opulence and perfectionism promised in every proud building of pale stone, this resort has been designed to showcase an incredible attention to detail. 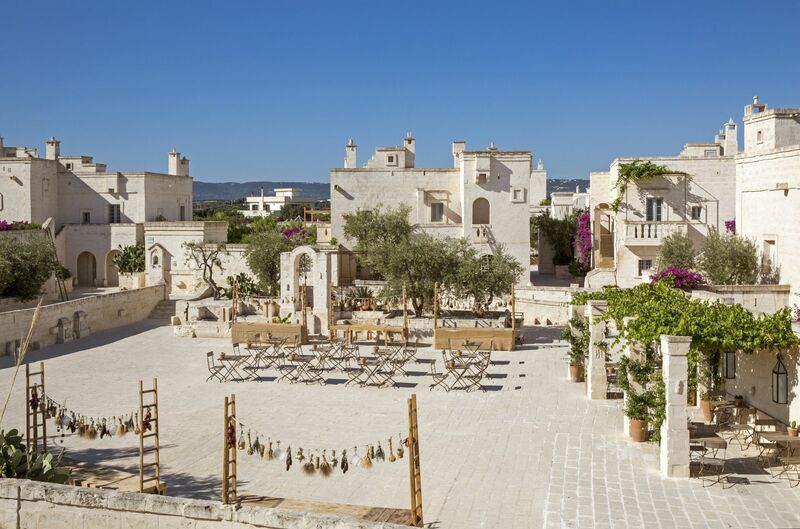 Borgo Egnazia entices couples, families and corporate parties to their magnificent spa and golf facilities, with sustenance provided by their famous ‘cucina povera’ of locally sourced, mouth watering cuisine. The Borgo Engazia resort, in the heart of Puglia, voted by as one the 20 most beautiful areas around the globe is quite simply, world class. It would be unwise to dismiss the romantic undertones of those traditional, Baroque and Roman northern Italian destinations – however – these familiarly and passionately resonate at large in the southern Puglia area. The familiar appeal of a deeply Mediterranean landscape; reflective white-wash stone intensifying the contrasting shades of every azure in the nearby seas, scattered with cave-sopped beaches and cloudless skies, can finally be explored with opulence and gusto, aplomb and above all, a contagious Italian individual impulsivity. ‘Whether you choose to stay at the fabulous townhouses or hotel you will be assured of a holiday in luxury, all you have to remember is that the townhouses will afford you your own private pool and a more space. We have superb seasonal discounts so please call 01444 87 2200 for our selected Borgo Egnazia Offers. Borgo Egnazia is located in Puglia Southern Italy, 5 minutes from local fishing village of Savelletri composed of 3 different areas; La Corte (hotel), Borgo village and Villas. The hotel has 63 elegant guest rooms that range from Superior rooms to enormous 1 and 2 bedroom suites, many of which are interconnecting. Modern luxury influences the hotel rooms. All rooms at the hotel have a contemporary, minimalist Mediterranean feel with neutral tones, white walls, traditional fabrics and spacious living. 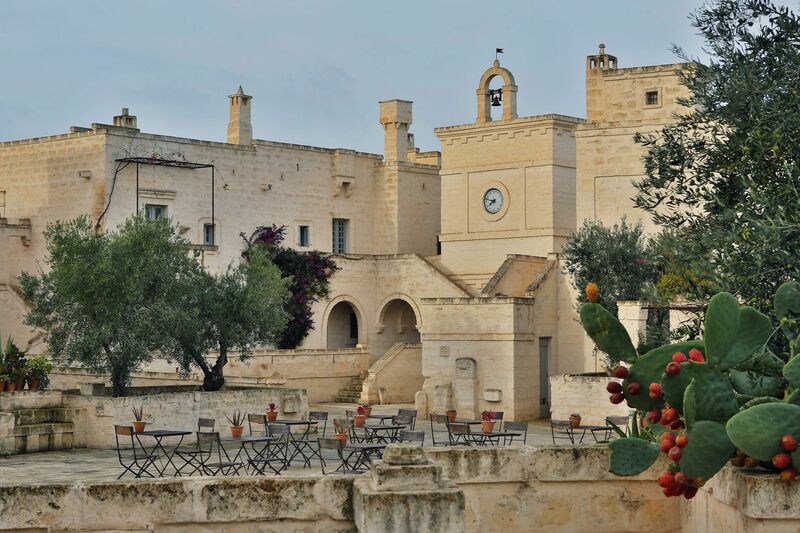 Many of the hotel rooms offer views of the Adriatic Sea nearby hills or the Borgo Egnazia hotel’s charming courtyard. 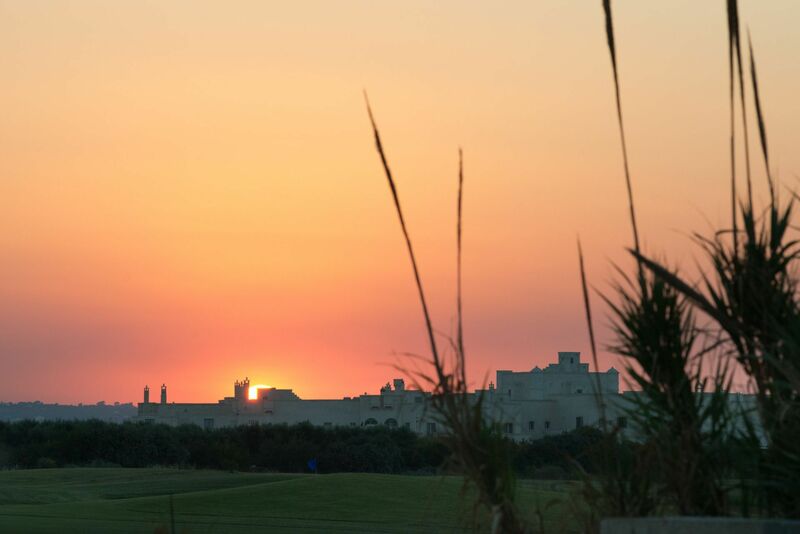 Borgo Egnazia has 30 villas (spread across 8 separate buildings) all have 3 bedrooms. They represent the most luxurious and exclusive accommodation at the resort. The villas offer 3 bedrooms with terraced gardens, private pools and wrap around balconies with stunning views. The resort also offers 1 & 2 bedroom townhouses with a small kitchenette, open plan with the sitting room and outdoor courtyard. All the Borgo Egnazia villas and suites are located near the resort’s village square where you will find a range of quality restaurants and a family friendly pool. Activities and sports are high on the agenda at this luxury family resort: a dip in one of three pools of crystal clear water, a thrilling match on the three tennis courts or golf course, adventure, spa, entertainment and culture. The resort offers a wide range of facilities so you can choose to relax by one of the three outdoor swimming pools or enjoy a round of golf on the 18-hole golf course. Also with two beaches, two beach clubs, beach shuttle bus, tennis courts, on-site cooking school, a luxury spa, gym, kids club, shop, hairdressers and a range of quality restaurants and bars, the Borgo Egnazia resort has just about everything for everyone. 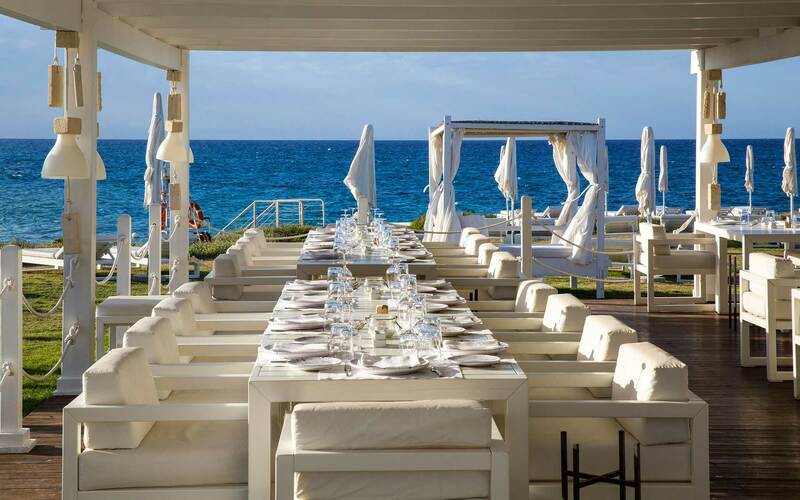 Restaurants are a huge part of the life at Borgo Egnazia. In an area where food equals the language of love, the all-important cuisine on offer consists of locally sourced fish from the nearby village, with obviously mediterranean produce such as aubergine, olives from the many nearby groves, tomatoes, grapes, watermelon, fresh peppers and artichokes, cooking and dipping oils, salami and mushrooms all grown and prepared in the Apulia region. The nearby town of Locorotondo is famed for its wine production and is offered here as if it were free flowing water. 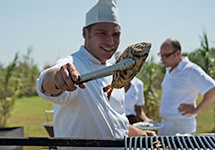 Borgo Egnazia follows the Meditteranean dietary philosophy, that healthy fresh foods will do wonders to feed the soul. A little of what you fancy is encouraged and it never tasted better within these heavenly surroundings. Within the central piazza in Borgo Enazia’s village, ‘Il Borgo’, reside two fantastic restaurants; ‘La Frasca’ and ‘Mia Cucina’. La Corte, home to the hotel rooms and Vair Spa also boasts a fine dining restaurant for a sophisticated dining experience, and is named, ‘Due Camini’. Menus are always diverse and cater for the vegetarian and for those who enjoy the largely fish focused diet, they will be in for a daily treat. Children are also catered for with special menus aimed at the smaller, possibly less refined diets, with mashed potatoes, meatballs and burgers the order of the day. In high season a children’s restaurant, ‘Da Puccetta’ opens for business especially for little ones, complete with teeny, cutesy chairs and tables with healthy pastas, salads and fruit on offer. Although children are most welcome at the Due Camini, the La Frasca restaurant in Il Borgo is slightly less formal and relaxed with fantastic nearby baby changing facilities. Borgo Egnazia’s exquisite charm would not be complete without a cocktail bar, perfect for meeting in before dinner or relaxing afterwards, becoming lost in chatter or simply letting people watching whilst listening to the pianist provide a perfect ambience. The Bar del Portico offers their very own cocktail, a mixture of Galliano, pink grapefruit, vodka and mint. The resort also boasts another three bars, all conveniently placed by the pool and piazza, serving up chilled beverages until 1am each evening. Many Italians join the European and British visitors to Borgo Eganzia in the deep summer months, and many festivals that focus around food and music take place at this time of year. 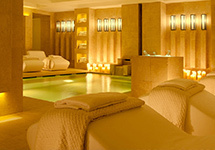 The impressive Borgo Egnazia also boasts a fantastic spa in the ‘La Corte’ building. 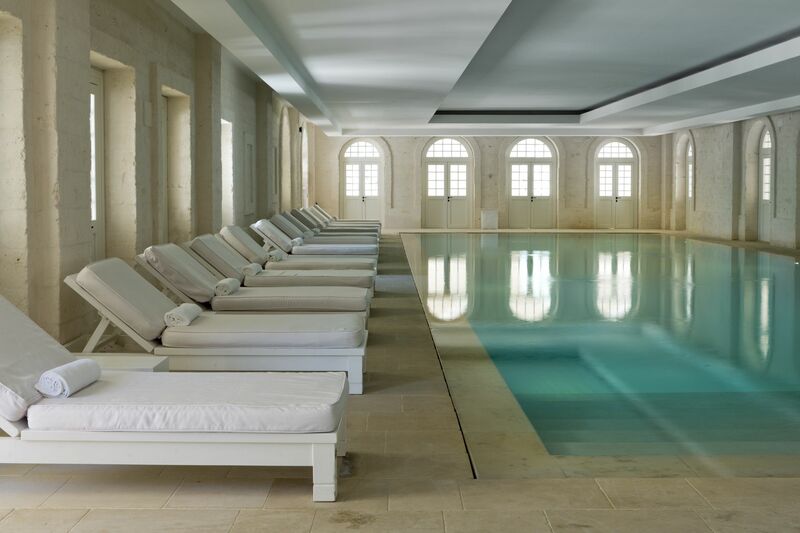 Set over two floors and over an amazing two hundred square metres, the Vair Spa has received countless nominations for best Spa – globally – and even won the 2013 Tatler Spa Award for their facilities within the Borgo Egnazia surrounding. For the over 12’s only, many luxury skin treatments are offered, with staff dressed in Grecian robes and traditional treatments using local produce are also offered amongst the usual massage and facial combinations. Using ancient provincial rituals, the Vair Spa is unique in addition; using locally produced pink salt scrub, Roman bath rituals and Tarantism, a spa treatment for women that involves music. Borgo Egnazia’s achingly enticing spa is a real treat for the guests who really wish to relax and unwind in calm, peaceful, utopian surroundings. 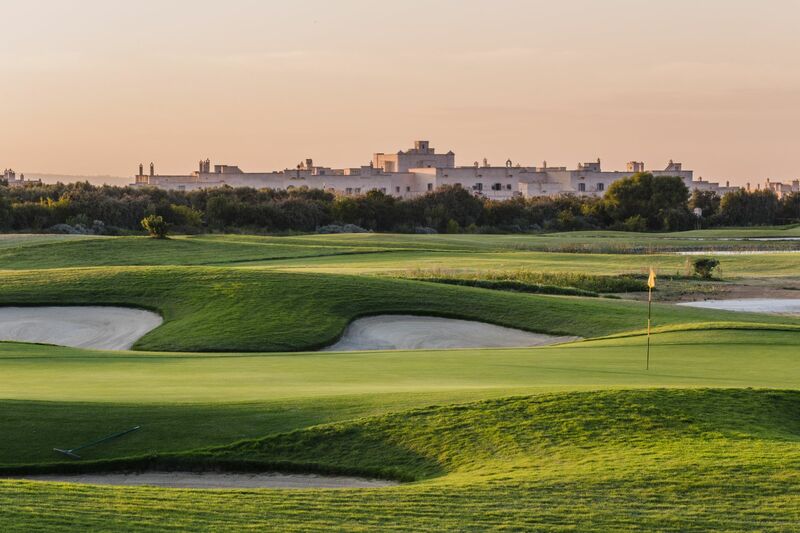 For discerning golf lovers, the Borgo Egnazia really holds some extra charm. 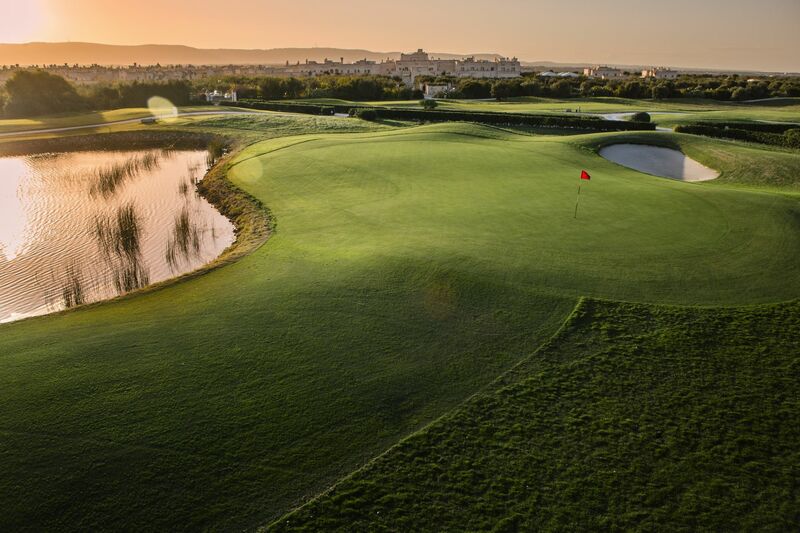 With views to the Adriatic sea from all angles, the 18-hole course of San Domenico surrounds the resort. The fishing marina of Savelletri is to one side, whilst the ancient city of Egnathia resides on the other. The course is unique and uneasy to master, and was created by Jeremy Slessor of the European Golf Design of London. Meeting USGA guidelines, this is a course with expansive greens, and used fine Bermuda grass for the fairway. Truly memorable, if the keen golfer manages to avoid the festuca roughs, it is possible to see the necropolis ruins of the Egnathia’s ancient city from hole 8 onwards, along with a stunning, panoramic sea view. Borgo Egnazia accommodation is located in a scenic seaside patch of Puglia, encircled by the San Domenico Course. Brindisi airport terminal is 53km away. Your accommodation can offer transfers: €100 for approximately three travellers inside a vehicle, €120 for approximately eight travellers inside a minivan. Alternatively, fly into Bari, 60km away from the hotel. Fasano’s station is 5km away, with services to Monopoli as well as villages in Ostuni. From the SS16 to Bari-Brindisi, go ahead and take exit for Savelletri/Stazione di Fasano. 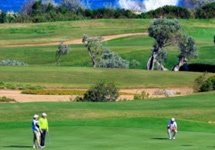 After 2km, stick to the yellow signs pointing to Borgo Egnazia and San Domenico Golf. Your accommodation has free parking and lots of it. Get children looking forward to the holiday by showing them the map of Italy. 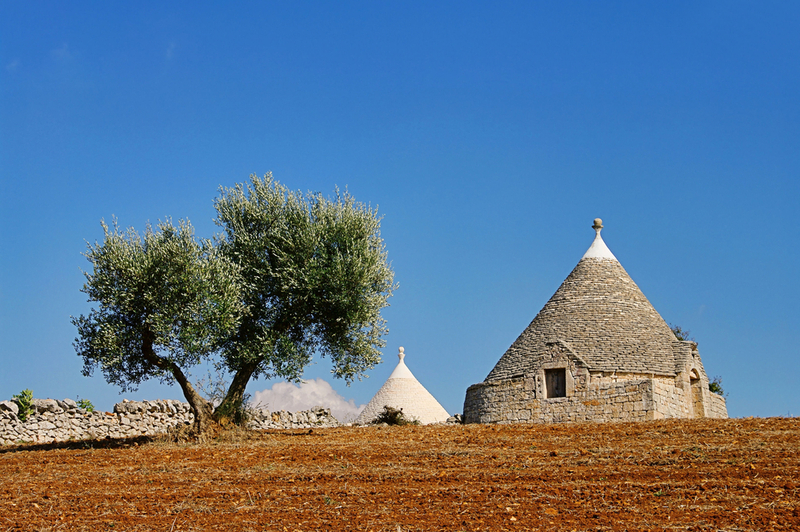 Point out Puglia: children will enjoy knowing they’re visiting the ‘heel’ of the ‘boot’. We have travelled now with Design Holidays 6 times and if you are looking for expert travel advice at the most competitive prices for some of the world's best resorts : La Manga Club, Quinta do Lago, Vale do Lobo, Sheraton Algarve, Vila Vita, Forte Village, Chia Laguna, Mallorca, South Africa - try them out! Excellent service, knowledgeable staff, great prices. We have used Design Holidays for La Manga on several occasions and found them fantastic. I think they have the largest selection of accommodation with over 300 private villas.